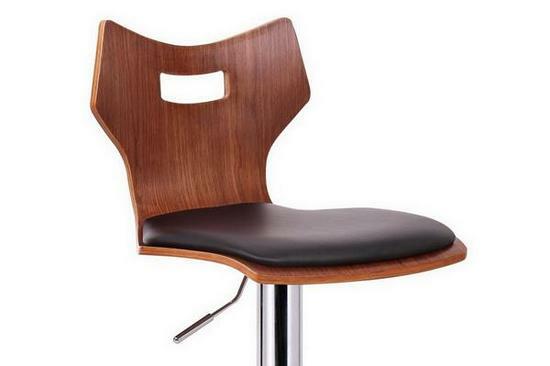 Enjoy hours of fun and entertainment at your counter or bar with a great stool! Alfa Barstool takes a unique seat shape and pairs it with the beauty of walnut veneered plywood. Plush foam cushioning and soft black faux leather finish off the seats while a chrome-plated steel base and gas piston lift provide support. 360 degree swivel makes Alfa barstool even more versatile.